Puerto Rico's Resident Commissioner, Jenniffer González-Colón, speaks during a ceremony on Capitol Hill in Washington, Wednesday, June 27, 2018, to present the Puerto Rico Admission Act of 2018, a bill to chart Puerto Rico's transition from a territory to a State of the Union. She is joined by Puerto Rico Gov. Ricardo Rosselló, left, Rep. Don Bacon, R-Neb., right, and others. 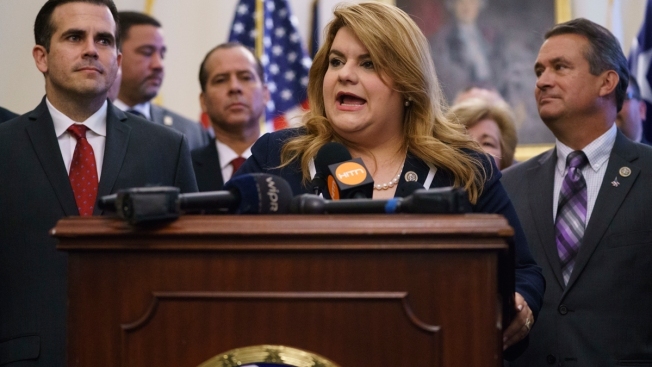 Puerto Rico's non-voting representative in Congress is introducing a bill that seeks to make the U.S. territory a state by 2021. The bill calls for the creation of a bipartisan, nine-member task force that would submit a report to Congress and to the president identifying laws that would need to be amended or repealed so Puerto Rico could become a state. The panel would also be instructed to recommend temporary economic measures to help the island in the transition to statehood. Such a process would make Puerto Rico an incorporated territory in the interim, where people on the island would have to start paying federal income taxes without having full statehood political rights, NBC News reported. Hawaii spent over five decades as an incorporated territory while Alabama lasted two years, according to NBC News. 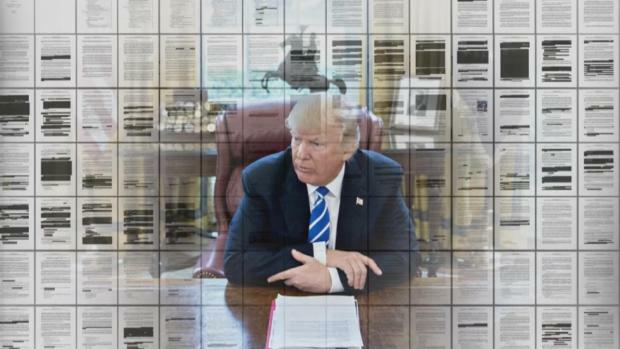 NBC News reported that, during a meeting last week, Trump replied to Rossello's appeal for statehood by saying, “If Ricardo can guarantee us two Republican senators it can be a very quick process.” Others in the room laughed at the remark.